This past week, one court found that Life Insurance Company of North America (LINA) was wrong in denying disability benefits to a cashier with three herniated discs and other spinal abnormalities. LINA’s medical reviewer discounted the opinions of the plaintiff’s doctors on the basis of perceived deficiencies in their medical records rather than on the basis of any genuine medical determination and discounted Plaintiff’s MRI studies for their failures to “quantify” the degree of resulting impairment. We don’t see the problem with that opinion! 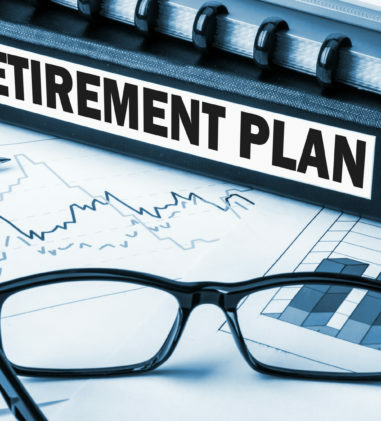 But, unfortunately for a group of retirees, the Tenth Circuit Court of Appeals held that language in Summary Plan Descriptions (SPDs) did not contractually vest retirees with lifetime health or life insurance benefits. Some of the SPDs contained a “Reservation of Rights” clause to which Defendants expressly and unambiguously reserved the right to change or discontinue any or all benefits or to amend or terminate the plan. We promise you’ll enjoy the rest of this week’s ERISA Watch….but we reserve the right to terminate your subscription at any time and for any reason or for no reason at all. Cheers! 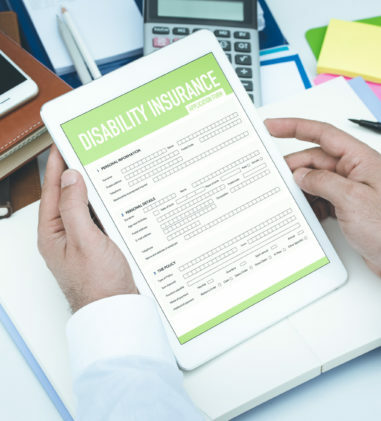 Denial of short-term disability benefits was de novo wrong but failure to render a timely decision on the long-term disability claim does not warrantde novo review. In Rao v. Life Ins. Co. of N. Am., No. 5:12-CV-1459, __F.Supp.3d___, 2015 WL 1849866 (N.D.N.Y. Apr. 23, 2015), the court found that Plaintiff, a cashier disabled by herniated cervical disk without myelopathy and bipolar I disorder – mixed, was entitled to short-term disability benefits under a policy insured by LINA, but remanded Plaintiff’s long-term disability (“LTD”) claim to LINA for a determination. Because the parties did not clearly indicate their intent or consent to a bench trial on the papers with the court acting as the finding of fact, the court applied the well-established summary judgment standard to each party’s motion. The court made several notable findings with respect to Plaintiff’s disability claims. Plaintiff’s treating physicians were unified in their opinion about the disabling nature of her condition; repeatedly concluding at various points that Plaintiff was so disabled as to be precluded from even the demands of “medium” work as that term is defined in the DOT. In contrast, LINA’s denial was based only on the assessment of Dr. Stephen Jacobson, LINA’s Medical Director, who discounted the opinions of Plaintiff’s doctors on the basis of perceived deficiencies in their medical records rather than on the basis of any genuine medical determination and discounted Plaintiff’s MRI studies for their failures to “quantify” the degree of resulting impairment. 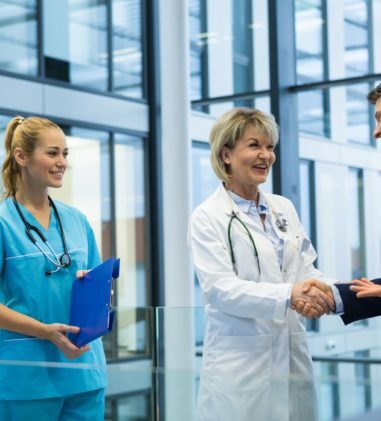 Denial of benefits based on the lack of “time concurrent” medical evidence and alleged failure of Plaintiff’s various physicians to perform certain methods of testing – requirements not found in the short-term disability policy, is improper. 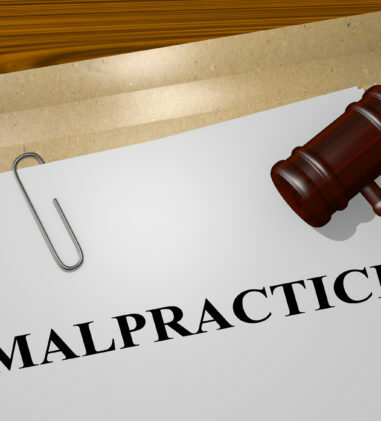 Although LINA had no duty to accord any special weight to the opinions of treating doctors, it cannot arbitrarily ignore credible medical evidence simply because it comes from a claimant’s treating source. With respect to the LTD claim, LINA’s failure to render a timely decision was not a deemed “denial” terminating LINA’s authority to exercise its discretion. As such, Plaintiff’s claim for LTD benefits should be reviewed under the more deferential arbitrary and capricious standard. The court remanded Plaintiff’s entire LTD benefits claim to LINA to render a decision since reviewing this claim without reference to any underlying decision by LINA would essentially amount to a de novo determination by the court. Grant of discretion in SPD and ASA is not enforceable as a plan term and is invalidated by Washington State law; on de novo review, Plaintiff is entitled to disability benefits. In Mirick v. Prudential Ins. Co. of Am., No. C14-1801RSL, __F.Supp.3d___, 2015 WL 1914453 (W.D. Wash. Apr. 27, 2015), a matter involving a denial of disability benefits, the court found that a grant of discretion contained in the Summary Plan Description (SPD) and Administrative Services Agreement (ASA) is not enforceable since these documents are not part of the plan. The short-term disability (STD) plan states only that Prudential has the authority to make benefits determinations, which is not enough to change the standard of review from de novo. Additionally, even if the SPD and ASA are plan documents, Washington State law invalidates the attempt to grant deference to Prudential’s claim decision. With respect to the merits of the STD claim, the court found that Prudential’s denial of benefits was in error. Plaintiff reported cognitive difficulties that significantly interfered with her ability to perform at the high level required by her job as a biostatistician. Her diagnosis of lupus and objective findings (including a SPECT scan and cognitive testing) support her subjective reports. She and her doctors believed that time off from work was necessary to reduce her symptoms and provide an opportunity to investigate treatment options. The only contrary evidence was Prudential’s reviewing doctor’s insistence that if plaintiff does not have lupus, she must be able to perform her job and a vocational consultant’s opinion that Plaintiff’s employer would likely allow her to take breaks during the workday. The court found that Plaintiff adequately established that she could not perform the high-level analyses and research that were normally required for her job. 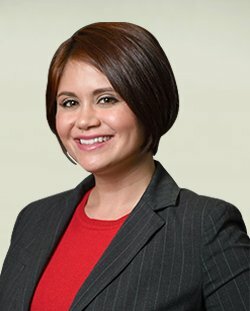 Lastly, the court found that the ability to work part-time does not preclude benefits where the definition of “Disability” is defined as the loss of 20% or more of earnings due to the sickness or injury that rendered the employee unable to perform the material and substantial duties of the job. 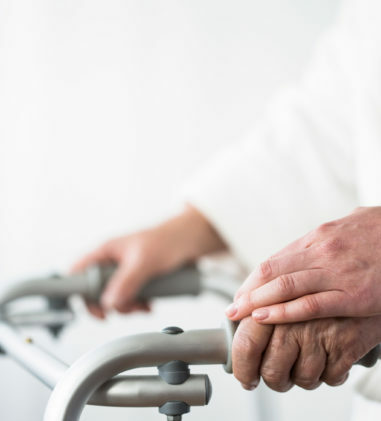 Language in SPDs did not contractually vest retirees with lifetime health or life insurance benefits and “fraud or concealment” provision is exception to six-year statute of repose. In Fulghum v. Embarq Corp., No. 13-3230, __F.3d___, 2015 WL 1905798 (10th Cir. Apr. 27, 2015), the Tenth Circuit affirmed in part the grant of summary judgment in favor of Defendants-Appellees on Plaintiffs-Appellants’ claims that Defendants violated ERISA and the ADEA when they altered or eliminated health and life insurance benefits for retirees. With respect to the ERISA claims, the court considered language in SPDs that it categorized into four groups. Group One: The court concluded that Defendants did not contractually agree to provide Plaintiffs with lifetime health or life insurance benefits based on language in Summary Plan Descriptions where they contained at least one Reservation of Rights (“ROR”) clause to which Defendants expressly and unambiguously reserved the right to change or discontinue any or all benefits or to amend or terminate the plan. The Tenth Circuit joined its other sister circuits in concluding that plan language that arguably promises lifetime benefits can be reconciled with an ROR clause if the promise is interpreted as a qualified one, subject to the employer’s reserved right to amend or terminate those benefits. Group Two: These SPDs did not contain an ROR clause, but the court found that language that specifically states that a participant is “entitled to have an individual life insurance policy issued to” her if the group life insurance “ceases because the Group Policy is terminated or amended so as to terminate the life insurance,” coupled with the provision stating that insurance terminates when the policy terminates, demonstrates Defendants had the power to terminate a retiree’s group life insurance benefit and did not promise lifetime life insurance benefits under those plans. Group Three: These SPDs contain provisions stating benefits “will continue after retirement” and that retirees “will be insured.” This language does not clearly and expressly promise lifetime benefits because it does not state that benefits will continue, unaltered, until the retiree’s death. Group Four: These SPDs do not promise lifetime benefits to retirees simply because they contain duration limits for some plan participants but not for retirees. Further, all the SPDs contain ROR clauses permitting Defendants to amend the plans for reasons of business necessity and Plaintiffs presented no appellate argument that the amendments were not motivated by business reasons. The court further concluded that because no reasonable person in the position of a plan participant would have understood any of the language identified by Plaintiffs as a promise of lifetime health or life insurance benefits, there is no ambiguity that must be resolved in Plaintiffs’ favor and the district court did not abuse its discretion by refusing to consider extrinsic evidence. 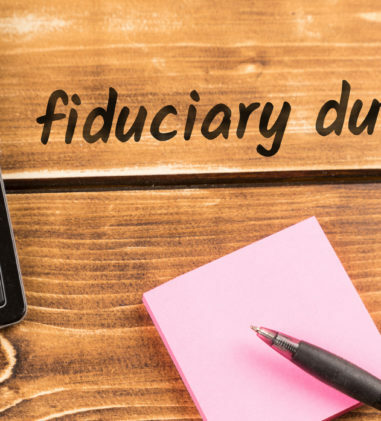 Lastly, the court reversed the district court’s dismissal of Plaintiffs’ breach of fiduciary duty claims to the extent those claims are premised on a fraud theory. The court concluded that the exception to the general six-year statute applies when the alleged breach of fiduciary duty involves a claim the defendant made “a false representation of a matter of fact, whether by words or conduct, by false or misleading allegations or by concealment of that which should have been disclosed, which deceives and is intended to deceive another so that he shall act upon it to his legal injury” or when the defendant conceals the alleged breach of fiduciary duty. On remand, Defendants may present argument that Plaintiffs did not bring suit within “six years after the date of discovery” of the alleged breach. In Badalamenti v. Country Imported Car Corp., No. CV 10-4993 GRB, 2015 WL 1862854 (E.D.N.Y. Apr. 23, 2015), the court found that the lodestar calculation was unreliable, where Plaintiff submitted “wildly conflicting” sworn declarations initially seeking $131,498.13 in his motion but then later changing this amount to $192,491.25. The revised amount included an increase in the time charged by approximately 100 hours and retroactively raised the hourly rates by as much as 37.5%. In the absence of a reliable lodestar calculation, the court applied the “percentage of the recovery” method, although noting that it is ordinarily inappropriate for “an award of attorneys’ fee be proportional to the damages recovered” under ERISA. Here, the total settlement amounted to $29,839.80. Given the unusual factors in this case, the court found that one-third of the settlement amount–$9,946.60–represents what a reasonable client would be willing to pay given the quality of the representation and the outcome of the litigation. Therefore, the court awarded $9,946.60 in attorney’s fees. In Trustees of the Michiana Area Elec. Workers Health & Welfare Fund v. TGB Unlimited Inc., No. 2:13-CV-199-JEM, 2015 WL 1865561 (N.D. Ind. Apr. 22, 2015), the court awarded attorneys’ fees to the Fund, where Defendant contested that contributions were not delinquent and there was no judgment in favor of the Plan. The court found that it does not need to examine whether there was an actual delinquency because Defendant paid the full amount identified by Plaintiff as the amount of delinquent contributions. Further, as the Seventh Circuit has held, when a trustee of an ERISA benefit plan prevails in an action to recover delinquent contributions, the district court is required to award reasonable attorneys’ fees. In Sun Life Assur. Co. of Canada v. Diaz, No. 3:14-CV-01685-VAB, 2015 WL 1826088 (D. Conn. Apr. 22, 2015) (Not Reported in F.Supp.3d), the court declined to award Sun Life costs and attorneys’ fees for bringing an interpleader action to determine the proper beneficiary of a $24,000 death benefit. The court concluded that the expenses incurred by Sun Life in bringing this action are part of its ordinary costs of doing business as an insurance company, and that it would be unfair to deplete the relatively small death benefit where no claimant thereto has been represented by counsel in this action. In Perez v. Stratton, No. 14-CV-95-WMC, 2015 WL 1866101(W.D. Wis. Apr. 23, 2015), the Secretary of Labor filed suit under 29 U.S.C. §§ 1132(a)(2) and (5), alleging that defendants David Stratton and IDS failed to remit employee salary deferral contributions to the IDS Sales & Engineering, Inc. Retirement Savings Plan. Following a hearing on default judgment, the court entered default judgment against defendant IDS in the amount of $19,114.94 and entered a permanent injunction preventing IDS from serving as an ERISA fiduciary. In Menes v. Chubb & Son, No. 3:13-CV-02094-PGS, 2015 WL 1867059 (D.N.J. Apr. 23, 2015), the court found that MetLife’s decision to terminate Plaintiff’s disability benefits was not an abuse of discretion, where MetLife viewed surveillance videos showing Plaintiff engaging in physical activity that contradicted his disability claims and relied on the evaluation provided by several medical practitioners and an independent consultant who reached a consensus that was only contradicted by Plaintiff’s primary doctor. The court found that the Social Security Administration’s determination of disability was not dispositive in this matter, where MetLife’s claim determination was based on information SSA did not consider, including the surveillance videos and the opinion of other physicians. In Evans v. Sun Life & Health Ins. Co., No. 13-55601, __Fed.Appx.___, 2015 WL 1812809 (9th Cir. Apr. 22, 2015), the Ninth Circuit affirmed the district court’s decision finding that Sun Life abused its discretion in denying Plaintiff’s long-term disability benefits application. The court found that the evidence showed that Plaintiff became disabled before his employment was terminated, and that his psychiatric symptoms improved but not enough to return to work as a trial lawyer during the 180-day elimination period. The court also found that Sun Life exhibited bias against Plaintiff, including its failure to conduct another physician review when Sun Life became aware that another patient’s record mixed with Plaintiff’s medical record, its decision to conduct a pure paper review, its failure to grapple with treating physicians’ and its own psychiatrist’s earlier contrary determinations, and its purported reliance on objective evidence when none could be adduced for the particular condition. In Haigh v. Constr. Indus. & Laborers Joint Pension Trust For S. Nevada, Plan A & Plan B, No. 2:14-CV-1545-JAD-VCF, 2015 WL 1886666 (D. Nev. Apr. 24, 2015), the court denied Plaintiff’s discovery requests because the complaint did not plead any facts in support of a breach of fiduciary duty, or allege that the administrative process experienced a conflict of interest. The court found that it will limit its abuse of discretion review to the administrative record. In Felker v. USW Local 10-901, No. CIV.A. 13-7101, 2015 WL 1867910 (E.D. Pa. Apr. 23, 2015), the court permitted Plaintiffs to conduct limited discovery only into the Plan Administrator’s potential conflict of interest. The court rejected Defendant’s argument that its concession of a financial conflict of interest makes discovery beyond the administrative record unnecessary. The court also found that Plaintiffs need only make a “minimal showing of bias or irregularity” sufficient to establish a “good faith” allegation of a procedural conflict. In this case, In this case, Plaintiffs alleged that the Plan Administrator may not have made the decision to deny the claim for benefits because letters written by Sunoco’s outside labor counsel and Sunoco’s Assistant General Counsel are very similar to the letters signed by the Plan Administrator that denied Plaintiffs’ claim for benefits. In Woolf v. Nucor Bldg. Sys. Utah, LLC, No. 1:14-CV-00177-CW, 2015 WL 1886853, at *2 (D. Utah Apr. 24, 2015) (Not Reported in F.Supp.3d), the court remanded the case to state court, finding that Plaintiff’s state law claims do not fall within ERISA’s remedial scope and are not completely preempted. ERISA does not provide a cause of action to non-beneficiaries who claim they were defrauded out of pension benefits in violation of common law fraud principles. Since all of the funds from the 401(k) plan at issue have already been disbursed, any recovery could not be issued from an ERISA plan, making the relief sought ordinary damages for the alleged fraud Plaintiff suffered. In Jammal v. Am. Family Ins. Grp., No. 1:13 CV 437, 2015 WL 1810304 (N.D. Ohio Apr. 21, 2015), the court found that Defendants provided no evidence or reason to convince the court that any attempt by Plaintiffs to pursue a claim for benefits under ERISA administrative procedures would have been anything other than futile, where Defendants had designated the Plaintiffs as independent contractors and not employees. In Urlacher v. Life Ins. Co. of N. Am., No. 14-CV-0952, 2015 WL 1898286 (E.D. Wis. Apr. 27, 2015), Plaintiffs filed suit against LINA and Landmark (decedent’s employer) related to group life insurance benefits under a policy that the insured had not converted after her coverage terminated. The policy allows participants to convert their group coverage to individual coverage by submitting a conversion application and paying a premium within 31 days of coverage ending but if a participant does not receive timely notice of her conversion rights, “the conversion period will be extended,” but “[i]n no event will the conversion period be extended beyond 90 days.” The parties dispute on when the 90-day period starts. The court determined that resolution of this issue did not matter since even under Plaintiffs’ interpretation they are not entitled to benefits. The policy provides benefits if a participant dies after the 31-day period (but during the extended conversion period) if the participant filed a conversion application and paid the required premium, which the insured did not do. The court dismissed the claim against LINA but did not dismiss the claim of breach of fiduciary duty against Landmark. Plaintiffs alleged that they contacted Landmark twice during the conversion period to request beneficiary forms and to confirm the dollar amount of the life insurance benefits but Landmark failed to advise Plaintiffs of the need to convert the life insurance coverage. The court found that the facts alleged in the complaint state a plausible claim that Landmark, in its capacity as plan administrator, breached its fiduciary duty to communicate material information regarding the need to convert and its breach caused the insured’s conversion period to lapse. In Sanford v. TIAA-CREF Individual & Institutional Servs., LLC, No. 14-1496-CV, __Fed.Appx.___, 2015 WL 1881396 (2d Cir. Apr. 27, 2015), the court affirmed the district court’s grant of summary judgment in favor of TIAA-CREF on Plaintiff’s claim for benefits under his deceased wife’s retirement and annuity plans. The court found that the district court did not abuse its discretion in declining to consider evidence outside of the administrative record, where Plaintiff contended for the first time in his cross-motion for summary judgment that TIAA-CREF did not inform his then-attorney of the need to submit documents into the administrative record, but there was no affirmative evidence of a failure to notify. The court rejected Plaintiff’s argument that TIAA-CREF should not have accepted the change-of-beneficiaries form reducing his percentage of benefits because his wife lacked mental capacity at the time she signed the power-of-attorney authorizing the change of beneficiaries. Further, nothing in the Plan or ERISA proscribes the use of an agent to execute any change of beneficiaries. In Dobrski v. Ford Motor Co., No. 1:14-CV-02111, 2015 WL 1880378 (N.D. Ohio Apr. 24, 2015), Plaintiff requested retirement benefits from Ford in April 2013, and on September 19, 2013, submitted a benefits election form requesting retirement benefits to commence on May 1, 2013. He also requested a buy out and a payment of retirement benefits dating back to March 2007. Ford granted his request for prospective retirement benefits, effective May 1, 2013, but denied his other requests based on Article V, Section 2(k) of the Plan, which states that early retirement benefits become payable “on the first day of the first month after (i) the employee shall have become eligible for such a benefit, and (ii) the employee shall have filed application for such benefit with the Board. The court found that the Board’s interpretation of the Plan was reasonable and granted Defendant’s motion for judgment on the administrative record. In Hamilton v. Gen. Motors Hourly-Rate Employee’s Pension Plan, No. 7:14-CV-00777, 2015 WL 1820686 (N.D.N.Y. Apr. 22, 2015), Plaintiff alleged that an MOU between GM and his union, which stated that transferred employees shall bring with them their entire personnel record as though their full period of service had been at Saginaw, entitled him to additional credited service for employees who work at designated foundry locations (which included Saginaw). Defendants denied Plaintiff’s claim, taking the position that the MOU was not intended to amend the Plan, the MOU language is specific to employment seniority and the employment record, and there is nothing in this or other MOU language that suggests that Plaintiff would be provided with additional foundry service for time worked at a non-foundry location. The court took into consideration the purpose of the MOU in conjunction with the MOU’s noted silence on the terms of the Plan and found that Defendants’ conclusion that the MOU does not alter the terms of the Plan is valid and reasonable. 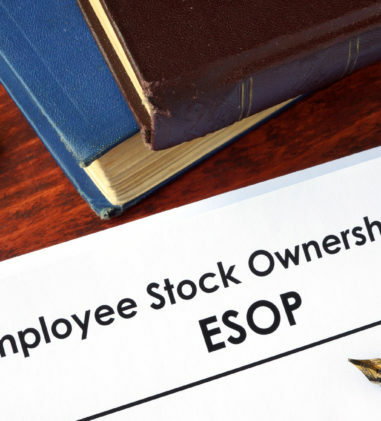 The court found that Defendants’ characterization of the MOU as essentially a human resources agreement designed to ease employee transition between two operations is clearly reasonable under the circumstances. The court granted Defendants’ motion for summary judgment as to Plaintiff’s claim for improper denial of benefits. The court denied Plaintiff’s breach of fiduciary duty claim as merely a restatement of his unpaid benefits claim and also denied Plaintiff’s promissory estoppel claim since the MOU could have not have materially misrepresented the method by which his pension benefits would be calculated. Plaintiff’s claims are barred, in whole or in part, due to waiver and/or estoppel. The court concluded that the first listed affirmative defense gives Plaintiff fair notice, but that the other affirmative defenses do not. In De Santiago-Young v. HistoPath, Inc., No. 2:14-CV-179, 2015 WL 1880436 (S.D. Tex. Apr. 23, 2015), a matter involving health coverage, the court dismissed Plaintiffs’ claims for breach of fiduciary duty because they are not entitled to personal relief under § 1132(a)(2) and because, as a matter of law, they are not permitted to raise such claims under § 1132(a)(3) simultaneously with their claims for plan benefits under § 1132(a)(1). In Felker v. USW Local 10-901, No. CIV.A. 13-7101, 2015 WL 1867910 (E.D. Pa. Apr. 23, 2015), the Severance Plan established pursuant to an agreement between Sunoco and Plaintiffs’ Union, gave the Plan Administrator or his delegate discretionary authority for administering the terms and provisions of the Plan. Sunoco, Inc. was named as the Plan Administrator and through a Board resolution it designated its CEO to make decisions regarding the Plan. The CEO then executed an Officer’s Certificate appointing Vincent Brigandi as Plan Administrator. Plaintiffs challenged this delegation but the court found that no authority supports their position that the language in the Plan is insufficient to allow Sunoco to delegate its discretionary authority to administer the Plan. Further, ERISA does not require language of express delegation. 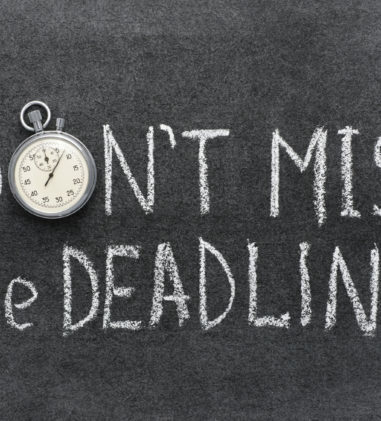 If Congress intended that express procedures for delegation be mandatory, it would not have used the word “may” in the pertinent provision of ERISA, 29 U.S.C. § 1105(c)(1)(B). Because the court found that Sunoco’s delegation of discretionary authority to administer the Plan to Brigandi was proper, his decision to deny severance benefits is subject to the arbitrary and capricious standard of review. In Jammal v. Am. Family Ins. Grp., No. 1:13 CV 437, 2015 WL 1810304 (N.D. Ohio Apr. 21, 2015), a putative class action alleging a misclassification of agents as “independent contractors” and seeking ERISA plan benefits for these alleged “employees,” the court found that no clear and unequivocal repudiation of benefits can occur until after the Plaintiffs were entitled to the payment of benefits and failed to receive them. The court found that neither party provided sufficient information upon which the court could determine when the payment of each type of ERISA benefits should allegedly have occurred, and thereby determine the date of the denial of benefits or administrative failure that triggers the running of the statute of limitations for each separate claim. The court rejected “equitable tolling” of the statute of limitations, finding that there is no need for equitable tolling beyond the date Plaintiffs were allegedly treated as employees and denied benefits. 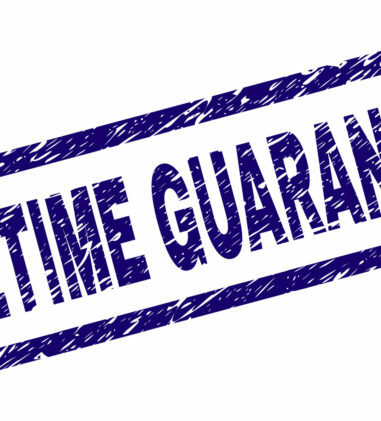 All that can be certainly stated based on the information provided by the parties is that all applicable statute of limitations on all counts (except for the breach of fiduciary duty claim) would have run within six years after the termination date of each individual agent. By termination, each employee would unquestionably have been aware of the conditions and controls that were in place during their working relationship with Defendants and all claims for benefits would have accrued. As all named Plaintiffs separated from Defendants within six years of filing suit, the court found that at this time they all survive summary judgment on the statute of limitations in connection with all but one of the counts. 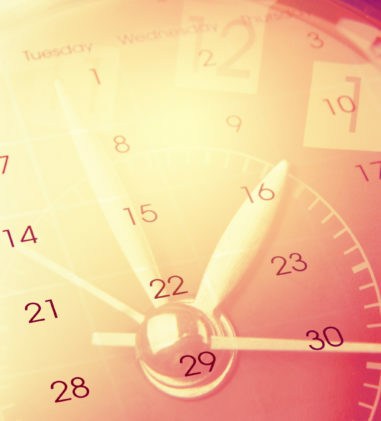 The court found that the statute of limitations on the breach of fiduciary duty claim is three years from the time each agent was terminated, which barred one of the named plaintiffs from pursuing this claim. RKN Concrete Constr., Inc. v. Laborers’ Pension Fund, No. 13 C 9153, 2015 WL 1888513 (N.D. Ill. Apr. 24, 2015) (finding that RKN Concrete Construction, Inc. is liable to the Funds for interim withdrawal liability payments; however, Ryan Specialized Service, Inc. is not liable under the successor, single employer, or alter ego theories the Funds assert). Michigan Laborers’ Pension Fund v. Rite Way Fence, Inc., No. 13-CV-13727, 2015 WL 1885542 (E.D. Mich. Apr. 24, 2015) (in matter seeking to recover fringe benefits allegedly owed under certain collective bargaining agreements, granting Plaintiffs’ motion in part by awarding judgment against Rite Way and Marx, jointly and severally, in the amount of $131,126.22). Bd. of Trustees of the Auto. Mechanics’ Local No. 701 Union & Indus. Pension Fund v. Joyce, No. 14 C 9890, 2015 WL 1888005 (N.D. Ill. Apr. 24, 2015) (denying Defendants’ motion to dismiss Board’s claims that Defendants evaded and avoided ERISA withdrawal liability under 29 U.S.C. § 1392(c) and committed fraud in fact and in law under the Illinois Uniform Fraudulent Transfer Act (“IUFTA”)). Bd. of Trustees v. DMJ Indus. Contractor, Inc., No. 1:14-CV-1189, 2015 WL 1809246 (E.D. Va. Apr. 20, 2015) (granting Plaintiffs’ motion for default judgment and awarding damages in the total amount of $6,930.94, but denying Plaintiffs injunctive relief).